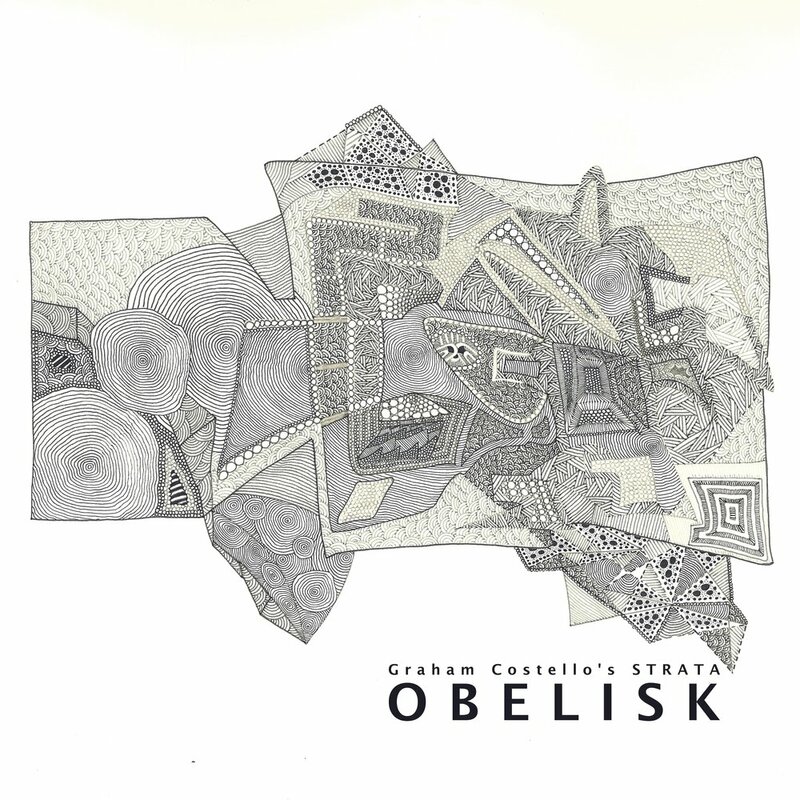 Scottish collective, Graham Costello’s STRATA, lay down a marker for 2019 as they prepare to share their experimental, jazz-infused soundscapes through the release of debut album OBELISK. From the opening note, it becomes abundantly clear that STRATA are anything but ‘vanilla’. Creating a swirling cacophony of noise, the six-piece playfully bend the rules, as they transcend genre, producing a sound they really can call their own. While their sound owes as much to jazz greats such as Steve Reich, STRATA’s ability to maniacally descend into elements of progressive, math and noise-rock allows for comparisons to left-field artists akin to Don Caballero and Ron Anderson’s PAK. STRATA’s innate ability to blend mesmerising grooves with cerebral, ambient emotionality is particularly impressive. Tracks such as ‘STOIC’ beautifully marry warming brass tones with spellbinding piano excerpts, as the track meanders through a maze of time changes and tonal experimentation. ‘JADE’ offers an exhilarating urgency from start to finish. While, ‘OCELOT’ builds menacingly, undulating throughout, as the song plays out like a David Lynch induced fever dream. Helmed by Graham Costello, who’s majestic, metronomic drumming style brings all the elements neatly together, STRATA sign off with forthcoming single ‘FLY’. Layer upon layer of sound atmospherically builds throughout the track, a fitting end to a challenging, but hugely accomplished album. Comprised of Harry Weir (tenor saxophone), Liam Shortall (trombone), Fergus McCreadie (piano), Joe Williamson (guitar), Mark Hendry (electric bass) and Graham Costello (drums & composition), STRATA have become synonymous with an emerging Scottish jazz scene. Maintaining a firm DIY ethic, the band run their own monthly residency at Glasgow’s independent venue Bloc, offering their contemporaries a space to hone and develop their craft. And, with appearances at some of the biggest jazz festivals already under their belt and a breathtaking debut album due for release, you can be assured this is not the last you’ll hear from a young band carving out their own niche in today’s challenging musical landscape. OBELISK is out 1st February 2019 via bpqd Records.